It’s more than an architecture. 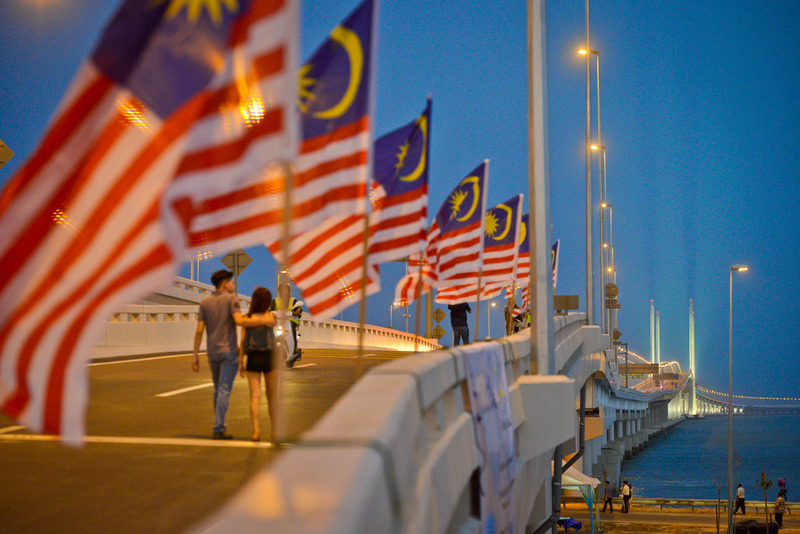 It’s Malaysian’s pride. 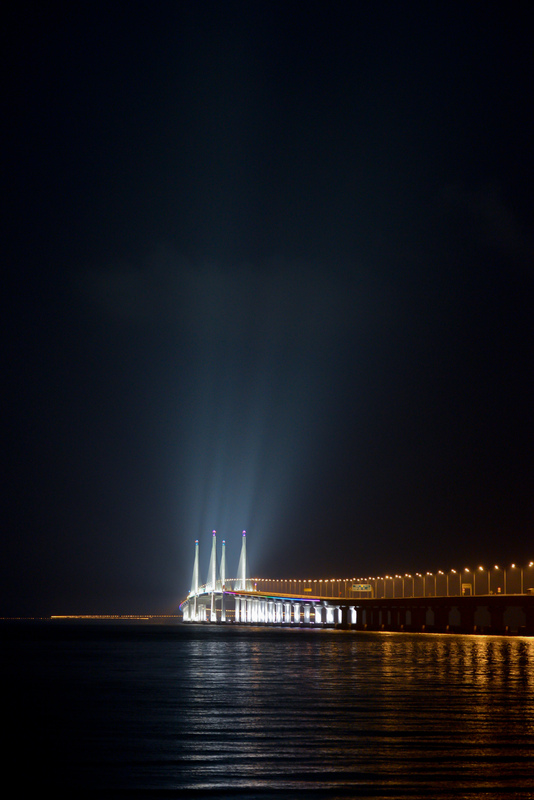 Penang 2nd link attracts visitor and local at anytime, days and nights. 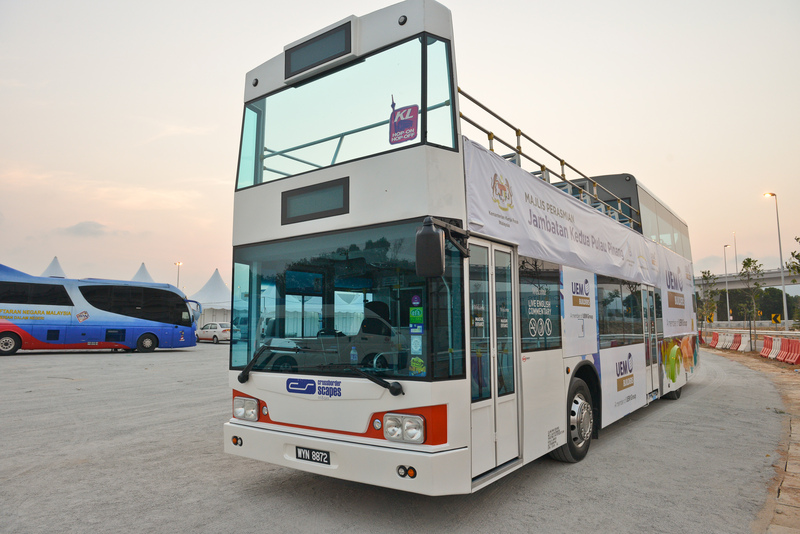 Prime Minister of Malaysia, Dato Seri Najib Tun Razak would board on this bus together with Chief Minister of Penang, YAB Lim Guan Eng after the ceremony. 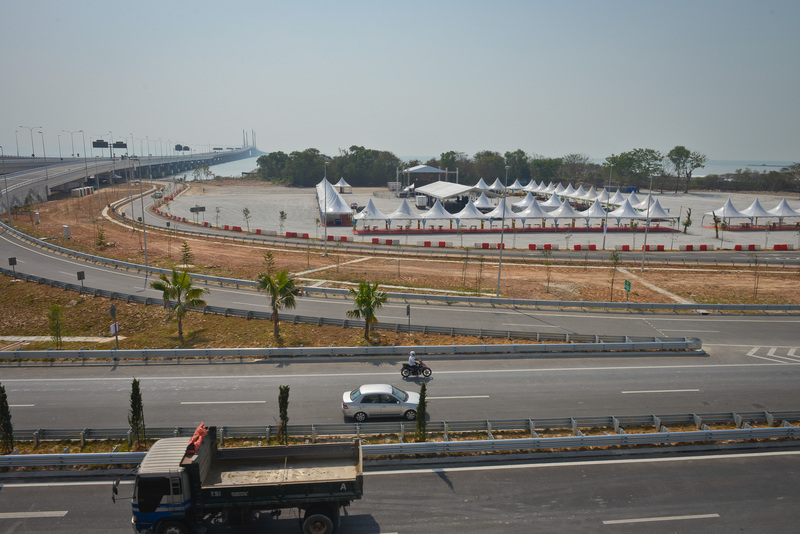 Peek of the carnival site. 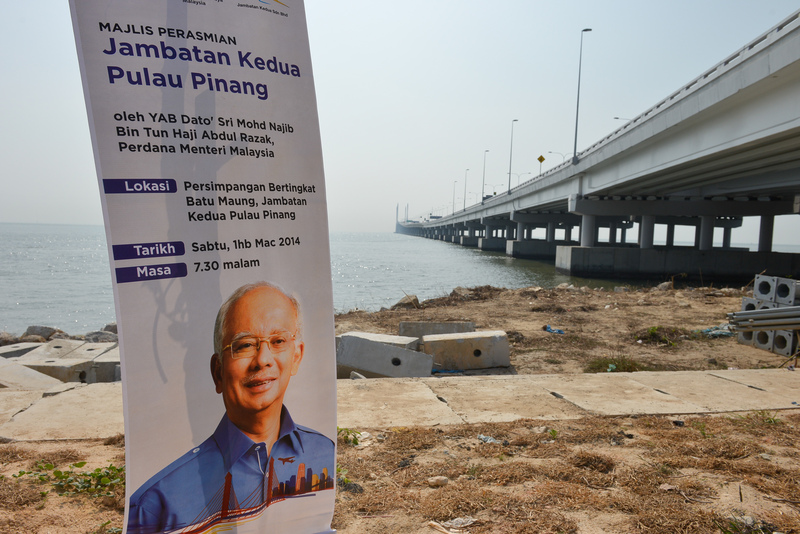 Poster of Prime Minister, informing that he is attending to kick start the opening ceremony, 8pm of 1st March 2014. How many hard-works pouring in behind the story of the bridge. 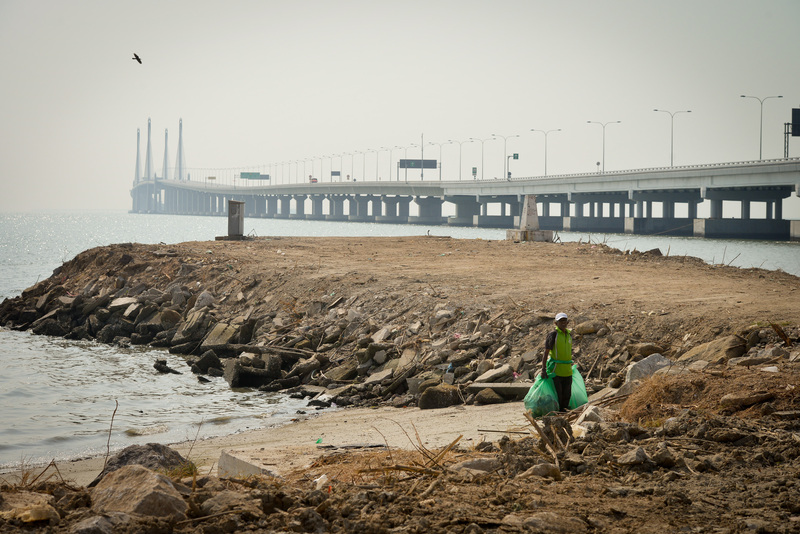 One of the cleaner cleaned up the rubbish under the burning sun. Years of construction, it’s done at last.